When 20 Gambian girls learned about teaching female reproductive health, they planned to share their knowledge in their communities as peer health educators. Faced with an Ebola outbreak, they realized they were prepared, proactive and ready to serve – and used their education and cultural knowledge to fight the disease. As a part of the Global Health Seminar Series here at UW-Madison, Mam-Yassin Sarr held two discussions on topics of health and the importance of educating girls to advance global health. Listen to her lectures here. 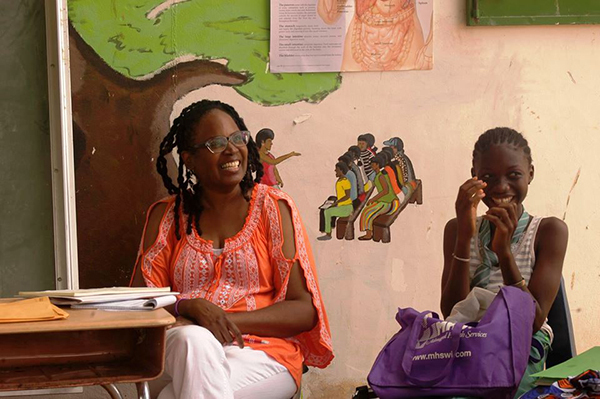 Education is key to helping girls in The Gambia face social and health challenges.Adrienne White from University Health Services, left, helped train girls to become health advocates. Starr founded Starfish International with the goal of providing education for Gambian girls from pre-school through graduate school. 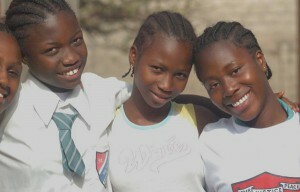 Teen-age girls in The Gambia face a host of social and health issues and challenges, including early marriage, teen pregnancy, violence against women and building their confidence and financial independence.